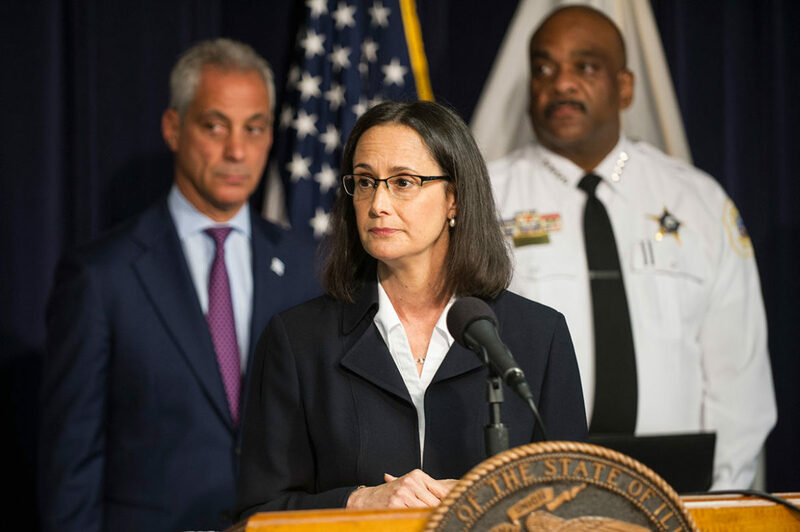 Illinois Attorney General Lisa Madigan announced an agreement with Chicago officials on Aug. 29, 2017, to establish a consent decree to guide reforms at the police department as a result of a lawsuit she filed against the city. Three Democratic candidates for attorney general say that police abuse victims, community groups and civil rights organizations should be included in a reform consent decree now being negotiated by the city and Attorney General Lisa Madigan. That’s not the approach Mayor Rahm Emanuel prefers. And one question in this upcoming election is how tough the next attorney general will be on police reform in Chicago. Sharon Fairley, former administrator of the Civilian Office of Police Accountability; Aaron Goldstein, a public defender and the independent 33rd Ward Democratic committeeman; and Highland Park mayor Nancy Rotering all said community groups should be included as parties to the consent decree, with full enforcement powers to seek legal recourse if they identified problems with compliance. Madigan, who declined to run for re-election, stepped into the breach on the reform question and sued the city after the Trump Justice Department decided not to seek a consent decree to provide judicial oversight and an independent monitor to enforce reform recommendations. The department’s year-long investigation of the Chicago Police Department led to 99 recommendations in a report issued in the final days of the Obama administration. Madigan’s action short-circuited an attempt by Emanuel to negotiate a “memorandum of understanding” with the Trump administration that would have essentially left the reform process under the mayor’s control. But two other lawsuits against the city to force more community input are also in play. One was filed by Black Lives Matter, the Chicago Urban League and other groups along with individual victims of police abuse. The other was filed by the American Civil Liberties Union, disability rights groups and community organizations. Madigan has given no public indication that these lawsuits should be joined. She did recently unveil a website to gather public comments and announce plans for community meetings on the consent decree. This may be the extent of community involvement she is planning. It’s certainly the extent of community involvement Mayor Rahm Emanuel prefers. His law department is currently in court trying to get the two community lawsuits dismissed. Alone, Madigan’s lawsuit could bring needed external pressure to force changes that the Emanuel administration has resisted. But “equally important is accountability to the community, to the people most impacted by police abuse,” and that requires a formal role for groups representing the community, said Craig Futterman of the Mandel Legal Aid Clinic, one of the attorneys for Black Lives Matter. Of the attorney general candidates, Fairley has the most hands-on experience with the case at hand, having led the Independent Police Review Authority and brought COPA into being. Under her watch, IPRA became much more rigorous and transparent: one indication was a significant increase in the number of police shootings found to be unjustified. 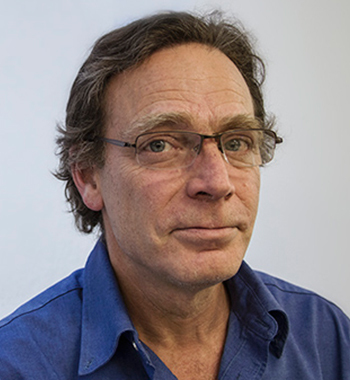 “I have no problem with community representatives having a seat at the table,” although an understanding of how to resolve possible disputes among plaintiffs needs to be in place, Fairley said. He views the issue in the context of a broader program of criminal justice reform, including “ending mass incarceration and the racist war on drugs” and ending cash bail. As Madigan negotiates a settlement with a reluctant Emanuel, she should listen to the voices of these candidates seeking to replace her. They are addressing the concerns of a large number of her constituents. Madigan should also look at the settlement in Cincinnati, one of the more successful in recent years, where community groups played a crucial role as legal partners. And if they want credibility on this issue, the other candidates should join Fairley, Goldstein and Rotering in backing an equal role for community groups in monitoring and enforcing police reform in Chicago.